CanDo® Incline wedges are wedge shaped mats that can be used to facilitate gross motor activities like rolling, tumbling, and crawling. The soft, safe mats encourage participation. 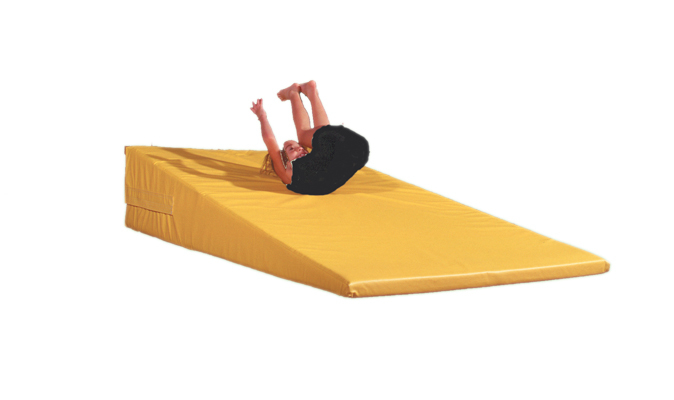 The inclined mats are available with or without positioning straps. Various sizes and colors available. CanDo® Incline wedges are wedge shaped mats that can be used to facilitate gross motor activities like rolling, tumbling, and crawling. The soft, safe mats encourage participation. Various sizes and colors available. 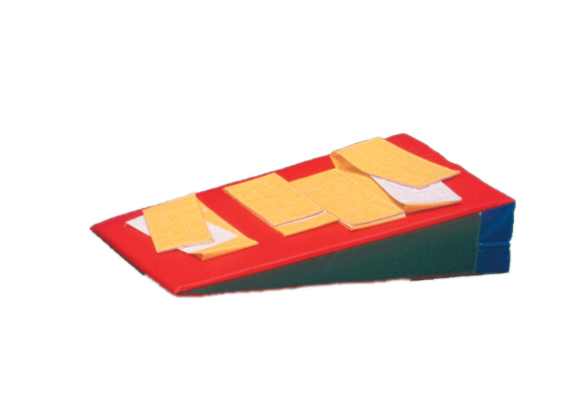 Dimensions: 24" x 14" x 48"
Dimensions: 36" x 14" x 24"
Dimensions: 72" x 16" x 48"
CanDo® Incline wedges with positioning strap are wedge shaped mats that can be used to facilitate gross motor activities like rolling, tumbling, and crawling. The soft, safe mats encourage participation. Straps can be used for adaptive positioning. Various sizes and colors available.